Amy holds a B.A. in international relations and history from the University of Georgia and a M.P.H in global health from the Rollins School of Public Health at Emory University. Her research interests lie at the intersection of environment, human demography, infectious disease epidemiology, and health policy. Specifically, her dissertation explores rubella and measles disease dynamics, the effects of vaccine control programs, and potential novel data sources for informing key knowledge gaps. 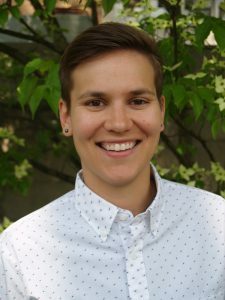 As a postdoc in the Metcalf lab she is examining the influence that the environment (e.g., climate change) may have on population dynamics and behavior (e.g., migration patterns), and in turn how changes in population dynamics and behavior influence infectious disease dynamics.